When I rode off last night to hit the sack, I was wondering if the fumes from all the good wines of dinners and karoke sessions induced into me an alcoholic daze of feeling good that might just disappear with after I woke up. I did woke up this morning and strangely enough, that feeling still persisted. Time will tell me if I was wrong. I had my breakfast and then rode over to Yu's factory. We planned to drive to Tsaoling today. But some stuff came up and Yu was not able to do so. That was not a problem with me at all. I then planned to go to BanTienYien which I failed to do so a couple of days ago because of the weather. Going anywhere was not that relevant to me as my main reason for being where I was now was to be with TInkerbell. So I sat around and chatted while Tink looked on at us perched on a rattan basket in the office. She was in her harness and leash waiting for me to take her out. Then as the day was warm and sunny, Yu thought of giving TInk a shower bath first before we went off. I assured him that was good for Tink and that she liked it. Yu had been giving shower baths to her regularly in the summer as part of my earlier briefings to Yu before I left. So Tink was cued to step up by Yu and taken outside to an upturned pail for her shower. She fidgeted a bit and when the shower spray was directed at her, she fidgeted more and flew up rounding Yu can came to my arm expecting some consolatioon from me. I could see that was a play acting from her because knew well being placed on upturned pail was the precursor to getting a shower. She indicated clearly she did not mind it by remaining on that pail while the shower head was fiddled to adjust the spray. She had a change of mind and expected us to obliged her ficklemindedness. So instead of consolation from me, she got laughed at by me, had a lecture and scolding from me as well, and taken by me to be placed on the pail. Yu then showered her while she grumbled on. The last time I saw Yu did that , Tink was taken back to the rattan basket for her to shake the water and preen herself. I then told him I normally let Tink fly a while to get the bulk of the water off. I then asked her to step up and walked her to a sunny spot to place her at about shoulder level. I walked back to give her five meters for her recall, thereby starting, or continuing the chain of events that made all three of us very happy in our own ways. She looked at me and I gave the cue to see her taking off immediately. She flew towards me and abruptly went up over me . She showered me with droplets of water as she curved overhead and landed on Yu. I turned my head and was following her flight and her landing onto Yu's shoulder. You have been following the last few days. I really felt that while Yu was a bit chagrined, he was very happy for me too in the way TInk re established her closeness with me. But the look of bliss and utter delight on his face was very clear at the deliberate landing of Tink on him despite he was behind me and blocked by me. I smiled and was very delighted at his happiness for that moment. Her Grace must have felt very pleased at her ducal snub of me for my failure to toady to her when she decided not to have her shower. I was immensely amused at the almost human behaviour from that spoilt pampered grey of ours and the way she deliberately gave me such a direct cut in deliberately going for Yu. I was used to that in the past. When she was annoyed with me, she would deliberately land on my wife Joy instead of onto me. I was also pleased she went to Yu as I was feeling sorry for him in the way Tink went for me almost all the time the last few days which actually caused me a bit of an embarrasment as he was really such a nice guy. She was then taken to her basket to be allowed to preen and further dry herself. I talked my plans through with Yu. 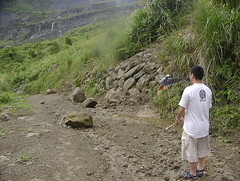 He still thought that I would be taking TInkerbell with me when I leave for Hualien and Taroko Gorge the next Sunday. I explained to him I had some qualms at taking Tink with me for that trip without my wife Joy. That involved a long train ride and changes of transport. If anything happened to me, no one else would be around to look after Tink. I wanted to built in a parting of a few days from Tink before returning to Chiayi and spending a few more days again with her prior to finishing my current visit to Taiwan. I left unsaid to him my desire not to overstay my present warm welcome to avoid any potential strains in our relationship with each other. I will be coming back regularly if I am unable to find a way to stay in Taiwan on a long term basis and I have to protect very carefully the very great relationship with Yu. The sunny start of the day quickly changed to gathering clouds as I made my way towards BTY. 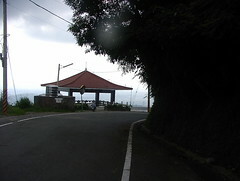 I planned to be at the pavilion set amidst forested mountain tops. That was the place I last brought her to with Joy before I handed her over to Yu and left Taiwan. It was so agonising that time and I could hardly beared the pain as I made my report of that last meeting as my soul was ripped apart. This time, I made my way there with Tink with a deep sense of comfort and happiness. She was sitting on the perch in front of me and going through a series of experimental sounds and words. We reached the pavilion and walked about a bit to take photos of that pavilion from different perspective to be posted later. We then sat inside on the granite benches to relax and enjoy being together. I placed Tink on the quard bannister just a meter away from me to let her be together with a liberal amount of free line for her. I was getting wiser and broke off a section from an empty ciggie box to give to her to chew on while I enjoyed the view and the looking at her and savouring yet again the being together with Tinkerbell, the coming to reality of a fantasy that played and played in many of the waking and sleeping moments of the preceeding months. The reality was so much more delightful than all those painful fantasies. She then called softly and I saw a small portion of that section of ciggie box on the ground. I thought she dropped it and I generously broke another big section and reached it over to her beak. She took it and abruptly dropped it and looked intently at me quivering her wings in clear indication that she wanted to fly to my shoulder. I told her softly to come here and she flew to me and made herself comfortable on my shoulder with soft chirps and squeaks. She made it clear to me she had full intention of remaining there while shifting her weight from leg to leg periodically wiping her beak on my head. 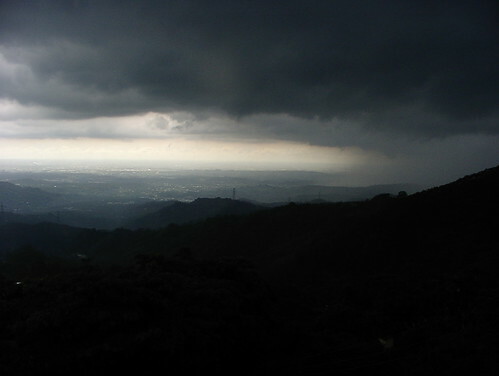 I was very happy to let her remain there and talked softly to her myself of the insects sounds around us and the clouds gathering and of the Chiayi city spread far down below us. Then it started to rain. It mattered not at all to the both of us. We were just together. Must have been a couple of hours as we just sat and I talked while she made strange funny sounds at me. Every 40 minutes or so, I let her go to the bannister for her to poop. She immediately flew back to me after her poop without bothering to wait for me to give recall. I was not thinking of giving recall either knowing that was what it was in a kind of unspoken communion. Now and then I continued with my book in between looking at the scene of distant thunderstorms with patches of sunshine on the plains and city below us and just loving the soft sounds she made into my ear. I had yet another dinner and karoke in the evening and regretfully had to get going back. The weather cleared but with the sight of heavy clouds rolling in the distance, Tink was placed into her carrier. I rode down the mountain happy I chose a good time to leave in better weather when a heavy storm caught me and stayed with me all the way to Yu's house. I was unhappy with the new harness. I have to tell you to avoid using shoelaces for kids especially if they have Mickey Mouse faces printed on it. That was made from some kind of a rayon material. I expected some unravelling, but this material was really bad. I noticed the unravelling at the end was not smooth and sometimes Tinkerbell claws got caught in them. I decided to junk that and get back to the original material. We dug up the remaining thick shoelaces we left behind as harness material. I did yet another complete harness with Yu doing another in parallel with me with a step by step quality check from me as well as explicit examples of some of the specialized knots that I included. Then it was time for dinner yet hosted by the Taiwanese and karoke. The hospitality was so overwhelming even for me already used to the way of Taiwanese. All attempts of me trying to host one in return were enthusiatically rejected. That meant I never got to internect cafe until late at night and I had to write even later and later like what I am now doing and it is 02:05 now with me having to go to bath and sleep soon. 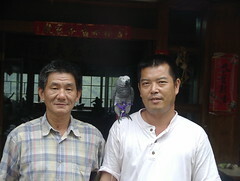 Since I was banging away at the keyboard until early into the morning, I knew I never be able to wake up that early on my own to see Tink and Yu even if it was for such a yearned for event as meeting my friend Mr Ling, that bird whisperer of Tsaoling. So I got a man in tuxedo with a bow tie to shake me at an appointed time until I woken and actually placed both my feet on the ground before he left me to struggle to complete the rest of that process. I was worried that if that was not done that way, I would just rolled on back to sleep again. Let me begin by telling you of one of the institutions so unique in Taiwan that may be beyond my ability to describe. It is the places that are simply termed as SanWenNahs literally translated into 3 temperature places and opened 24 hours. The SWNs are very luxurious, but their golden age was in the early 90s. 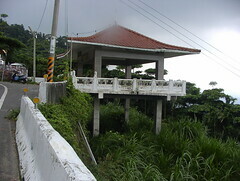 A local explained to me many years before that it was the traditional bath houses of ancient China brought over to Taiwan and still maintained close to the manner as practised in the past. Some others said some Japanese influences crept into that during the times when Japan controlled Taiwan until the defeat of the Japanese after the 2nd World War. I have written even more in a piece that I finally saved in a private file and copied and paste the the starting portion of that above here. It was so getting so lengthy with me so much more left to be written that I might not even have the time to get to harness and Tink and Tsaoling even if I spend another two hours writing just on SWNs. So I gave up , saved that in a private file and complete that should I ever have the time. I suspect I may never finished that at all but that hour and half of writing would be totally wasted if I just deleted all of it. I summarise that in a few lines. You get to soak in wonderful hot spas or medicinal spas and swim in swimming pools usually in landscaped surroundings based on ancient Chinese legends, and saunas too. You then dry yourself and pick a soft cotton kimona of your size and go to what is termed the dry area where restaurants served the best local food with softdrinks and cigarettes free on the house while live music may be played to you. The latest magazines and periodicals (all chinese I am afraid) will be available. Then 5 or so cinemas with soft inclined sofas, or comfortable beds in dormitory style with very dim lights. Yes, part of the SWNs service you can expect is that you can arrange when you wanted to wake up and that man in tuxedo and bow tie will come and shake you gently on your shoulder until you do. You pay about 15 US on entry and once you leave, you have to pay again if you want to enter. After staying at a motel near Yu for 4 nights and returning on to sleep, I checked out of the motel deciding to stay at SWNs which cost a lot less and gave so much more especially as I am travelling alone. So let me get back to Tink and directly related subjects. 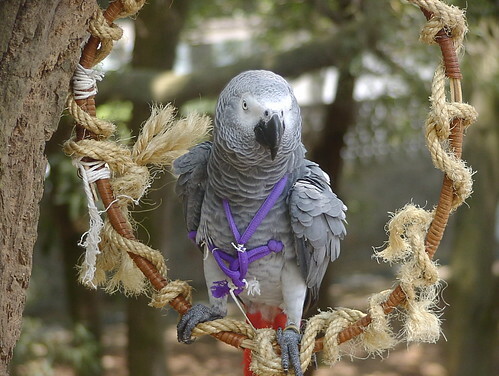 I reached Yu's house to see Tinkerbell already wearing the new harness I made so carefully for her last night. I had made some very slight changes in the design. I had increased the size of the loop for the neck very slightly wanting it to be more comfortable. I also increase the size of the loop that the body strap is threaded through just below the breast bone slightly to make it more convenient to thread the body strap through. All other measurements remained the way as made originally. I was flabbergasted to see the harness hanging so loosely on Tinkerbell. 3 fingers could be inserted between the strap around the body and the body itself. I checked and satisfied that the harness was still able to hold her safely enough to take her out. Being eager to get going on the long drive to Tsaoling, I decided that we should start on that trip. The slight drizzle which was on even as I rode the bike over intensified. The descriptions given on the road to Tsaoling still stand from my the writings of my earlier letters on that Tsaoling and I will not bore you with further repeats. 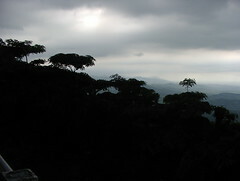 The rain increased in intensity with low clouds closing off the view of the entire mountain range and opening up for brief periods again. I was partly looking out and enjoying the view that I never seen before in such ways. I was the driver then and had to focus on the road instead of being a passenger with the luxury of looking around without a care if the car was driven off the road. In riding up on motorbike, I had to focus on the road itself and only grudgingly allowed myself sneak glimpses of the surronding beauty before I had to eye the road and focus back on the control in those twisty windy mountain roads. Not all my mind was on the scenery awesome as that might have been. Part of it was on Tinkerbell. A large part of my attention was on the harness as I tried to go through mentally the sequences of measurements against the original template. As I was doing that with Yu making another harness with me in parallel, I knew I was quite accurate with my measurements. It was inexplicable to me that the new harness could be that loose around the body. That was so bloody frustrating how I could get so wrong. I had no peace of mind as I wrestle mentally with those steps again and again. I turned and looked at Tink happily bobbing her head and the looseness of the new harness on her. I gave up, forced a mental blinker on that , and got back to my primary purpose that day of enjoying the trip as a passenger while periodically giving Tink head rubs. We got to TsaoLing at 11 am. 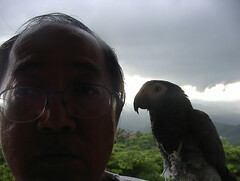 I was very happy to meet my bird whisperer friend Mr Ling and his wife again. I brought together two Taiwanese who had been highlights of my relationship with Tinkerbell and who had never met each other before despite hearing of each other from me. So the day was raining. 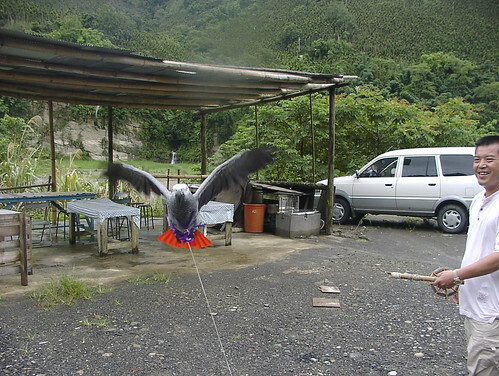 Nonetheless, I was surprised that the birds that were left to fly about freely during all my visits to Ling were in cages this time. I was dying to ask why but I bit my tongue to resist asking as that would be very impolite of me to do so in Taiwaness culture. I did not even make any oblique enquiries to fish out the reasons. I made the formal introduction of Yu and Ling as we settled ourselves around the chinese tea set already out and waiting for us to reach him. As you folks can guess, this meeting was engineered by me partly for Tinkerbell. Good as Yu was with Tinkerbell from me imparting to him all that I could, the meeting with Ling and getting to know the attitude of the bird whisperer and future strengthening of friendship between Ling and Yu can only be better for Tinkerbell as well as it was good for both of them. They being Taiwanese readily settled into the Taiwaness dialect and chatted very warmly as they got to know each other. Ling was a lot more communicative in Taiwanese than he was with me when we chatted in Chinese making me realised that Taiwanese was his preferred language. I was getting better in Taiwanese and got to understood roughly what was said even though I could not speak well in that dialect. Ling was describing his birds to Yu in greater details than he did to me. Then I noticed the Chihuahua which was a very recent introduction into Ling's house being left there by his son. Ling and wife got to love that little dog. From the conversations, that dog was too active with the birds and Ling was worried overenthusisastic play by that dog might hurt the birds inadvertently. It was raining rather heavily and the birds were not going to go outdoors in those conditions. I could understand that. With the dog indoor, the birds were not going to be let out. It was a bad matter of timing. After a wonderful lunch prepared by his wife, we chatted until about 4 pm and left. I did a bit of a guided tour for Yu taking him to the collapsed mountain side which slipped down during that massive earthquake of 8.5 that hit Taiwan 4 years ago and which created the lake when the river backed up. In that area, I coached Yu again on recall. Tink was placed 3 meters away and she did a beautiful flight to Yu which was sequentially shot by me. We were delighted at that success despite my proximity as the photographer. We went to a few other beautiful spots which would have been a pity for him to miss. He enjoyed it. Even though he was living in Chiayi all his life, he never been there and might not have been but for Tinkerbell. We started on the drive back. That harness looseness still bugged me. Then it suddenly struck me. I increased the neck loop slightly. I also increased slightly the size of the loop where the body strap thread through near the harness leash. The body of the grey is like an icecream cone, broad near the shoulder which tapered down to the tail. Those slight increasement I made shifted the loop of the body strap slightly lower towards the tail end of the parrot. The body strap being kept at the same zize as before would become more loose as it hung lower down the body. Correcting that fit was never a problem. I just need to shorten the body strap slightly. But just correcting the fit without understanding the reason might be like replacing a fuse without knowing why it was blown in the first place. I kicked myself for my stupidity in not figuring that earlier. We got back, shortened the body strap slightly and that was good again. I was amazed that such slight changes I made in the neck harness had such impact. 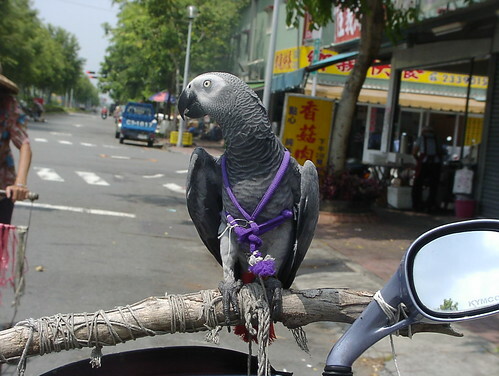 What if that parrot is slightly larger or slightly smaller with a neck harness of exactly the same size? Hard to imagine that one size fit all of that same type is still the predominant criteria of commercial harness. Maybe they know more of harness than this Idiot here. After the harness refit, I still had a bit of time. No special dinners or karoke this evening which was a relief. I had more time with Tinkerbell at Yu's house. Since Tink was on top of the cage watching me, I walked over to her to ask her softly to step up. She seemed to stop doing recalls to me or to Yu at home even if she was doing that outside. I explained that every evening I gave her recall exercises as well as point to point flying for 2-3 minutes. Partly to have fun with her and partly to enrich her interactions and partly to further the bond with her. Since she did not recall, at least it was important to work regularly with step ups that she would do. Tink was in a loving mood and I placed her on my shoulder and gave her lots of head rubs that she enjoyed. I was sitting down with Yu sitting just 2 meters away from me ninety degree from my direction. After some sweet talking, I felt Tink to be very close to me. I really felt she understood me, and for some strange reason, decided to try something I never done before not thinking if that was going to work and not caring one way or other either. I told Tink softly to make daddy happy, very happy, go, fly to uncle Yu. Tink looked at me, turned to look at Yu, flapped off and settled on Yu. The kids, wife , and Yu were so quiet that you could have heard a pin dropped. Not trusting what I have seen or felt and not caring either, I continued to speak softly to Tink. "Tinkerbell, make daddy happy, very happy. Come, come to daddy". She turned to look at me when I said very happy. At that cue of come to daddy, she took off and landed back on me. I felt soft and warm as she bowed her head to my collar bone and I rubbed and rubbed and rubbed her head. Thats when I walked her back to the top of her cage to place her there telling her goodnight, rubbing her head again , and that I be seeing her the next day.